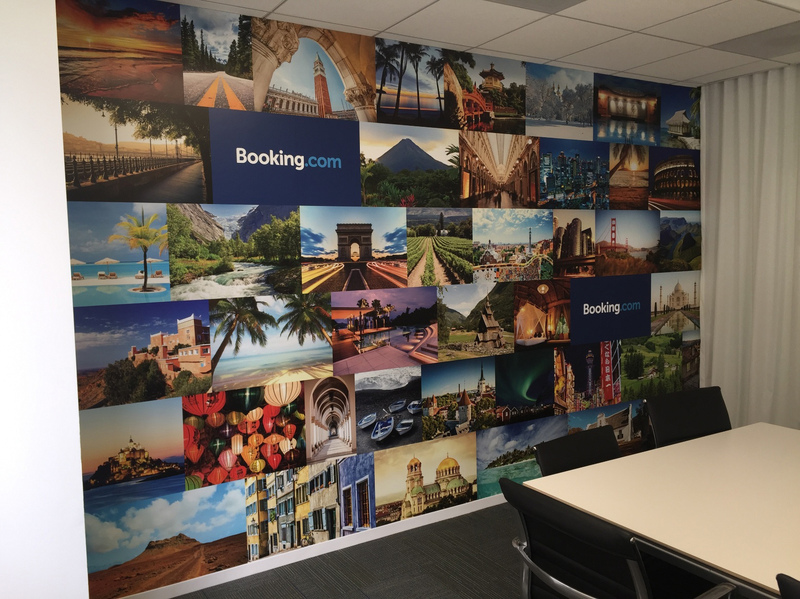 For one of their main conference rooms the facilities department at Booking.com wanted to use wall graphics to bring their brand to life. As you can see in the photo above, the graphic is put together with stunning pictures from all over the world as well as the Booking.com logo and brand colors. Overall we definitely enjoyed working with Booking.com and are looking forward to our next project together.